This is a guest post by Kathryn Wood. Enter Women, Wine, & Web Design. This free event was hosted by an Atlanta code school, and I knew I had to attend as soon as I read the description a friend had posted on Facebook. I mean, three awesome things combined has to be a good time, right? Prior to this event, I had no clue how to code or even how websites worked. The internet was a black box, and websites may as well have been created by magical elves for all I knew. That’s why (...or maybe it was the Merlot?) I audibly gasped the first time I saw an h1 tag appear in the browser window. I was immediately hooked and started devouring every resource I could get my hands on about programming. Eventually, this path led me to code school. What’s a code school, you might ask? A code school is a bootcamp of sorts where you learn basic programming skills and languages. The course I completed was full-time for three months and primarily focused on modern web languages. I won’t lie - it was a challenging experience. There were many hours spent learning in the classroom, hacking away at projects, and consuming way too much caffeine. BUT, I walked away with marketable skills, new friends, and a really cool rubber duck shooting game that I built myself. In retrospect, that career aptitude test wasn’t entirely wrong. I’ve since been working full-time as a Software Engineer at a Fortune 25 company. It’s both demanding and rewarding, and I’m so thankful for a career that inspires me to grow and work hard. Plus it’s pretty darn cool to build software with just your own two hands and a computer. Try all sorts of things. Sign up for a ceramics class. Watch a tutorial on how to build a website. Go to a blockchain meetup. Show up, be curious, and ask questions. And don’t rule anything out without trying it first - you never know what will pique your interest. So you went to the blockchain meetup and absolutely hated it. That’s great! You can safely rule that out. But maybe you really enjoyed the website building tutorial and decide to take a more advanced tutorial. This time, you immediately hit a wall. You start researching how to fix your problem and lose track of time. You’re so engaged that before you know it, a couple of hours have flown by. While you might be frustrated that the tutorial wasn’t a breeze, this is a good sign. If you’re engrossed with a challenge, this is the time to keep going. If you approach every obstacle with a learning mindset, it becomes impossible to fail. In fact, every “failure” only makes you better at your craft. This releases you from perfectionism and unrealistic standards for yourself. Expertise lies on the other side of a whole lot of work, and relentless optimism makes it easier (and more enjoyable) to put in the effort. WAIT - Programming sounds super cool! Do you recommend any educational resources? If you’re a parent and want to introduce your child to programming, Girls Who Code, a nonprofit dedicated to closing the gender gap in technology, has an excellent series of books geared towards kids. You can purchase these books in their online shop. They also put on summer immersion programs and offer clubs during the school year. Their founder also has a TED Talk on bravery that’s worth a listen. Katie is a software engineer by day at a Fortune 25 company. She spends her evenings building her web design business, Kathryn Wood Design. She believes websites (aka our internet homes) should reflect who we are - full of personality & uniquely beautiful. 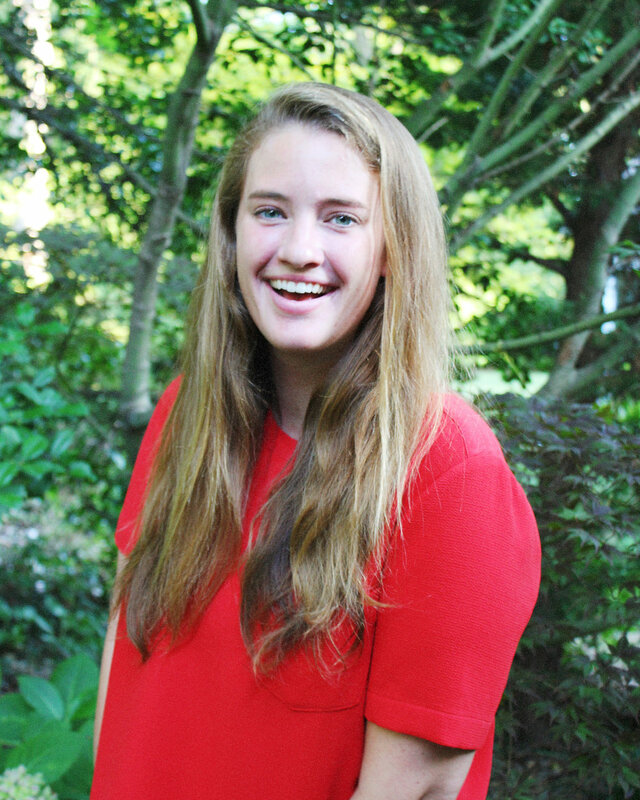 Katie loves to laugh at corny jokes, travel to new places, and really commit to charades. She lives in Atlanta with her boyfriend and their cat, Ziggy. 95% of the conversations in their house are about technology, design thinking, and how adorable Ziggy is. If you’d like to learn more about Katie, visit her website at www.kathrynwooddesign.com where you can sign up for the free 3 Days of Website Magic challenge. Follow Katie on Instagram and Facebook!